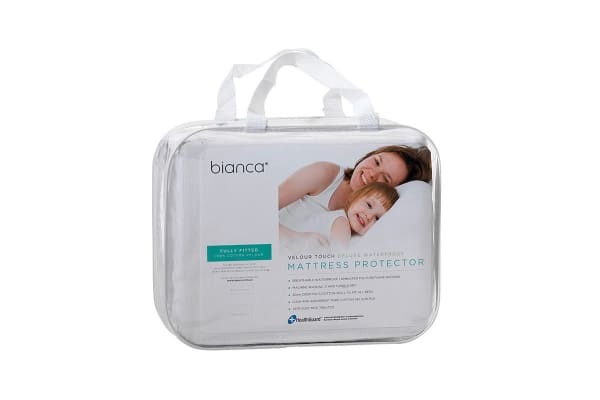 The Bianca Velour Touch Deluxe Cotton Waterproof Mattress Protector (King) is a great choice when it comes to protecting your mattress. 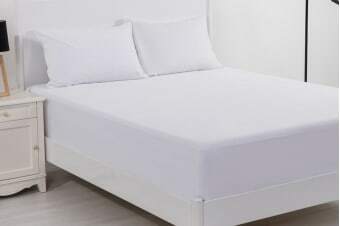 Made of pure cotton, the Bianca Velour Touch Deluxe Cotton Waterproof Mattress Protector (King) is breathable, durable and can absorb up to 7 litres of liquid. It also features a 50cm fitted skirt which will fit all mattresses. The easy-to-clean protector is ideal for machine wash and tumble dry.